The end of a year makes us think about last-minute things we need to address and good habits we want to start keeping. To that end, here are seven aspects of your financial life to think about as this year leads into the next. Your tax situation. How many potential credits and/or deductions can you and your accountant find before the year ends? Have your CPA craft a year-end projection including Alternative Minimum Tax (AMT). In years past, some business owners and executives didn’t really look into deductions and credits because they just assumed they would be hit by the AMT. The recent rise in the top marginal tax bracket (to 39.6%) made fewer high-earning executives and business owners subject to the AMT – their ordinary income tax liabilities grew. The top bracket looks as though it will remain at 39.6% for 2018 even if tax reforms pass. So, examine accelerated depreciation, R&D credits, the Work Opportunity Tax Credit, incentive stock options, and certain types of tax-advantaged investments. Your life insurance coverage. Are your policies and beneficiaries up-to-date? Review premium costs and beneficiaries, and think about whether your insurance needs have changed. Life events. Did you happen to get married or divorced in 2017? Did you move or change jobs? Buy a home or business? Did you lose a family member or see a severe illness or ailment affect a loved one? Did you reach the point at which Mom or Dad needed assisted living? Was there a new addition to your family this year? Did you receive an inheritance or a gift? All of these circumstances can have a financial impact on your life as well as the way you invest and plan for retirement and wind down your career or business. They are worth discussing with the financial or tax professional you know and trust. Lastly, did you reach any of these financially important ages in 2017? If so, act accordingly. 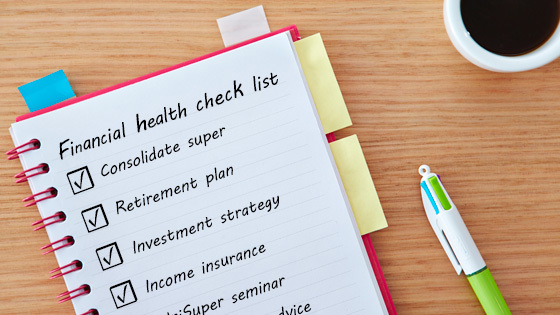 The end of the year is a key time to review your financial “health” and well-being. If you feel you need to address any of the items above, please feel free to give me a call. Jonathan P. Dekker may be reached at 989-777-3620 EXT. 4203 or jonathan.dekker@cunamutual.com. Important message: the information contained in this message or any attached document is confidential and intended only for individuals to whom it is addressed. If you got this message in error, please inform me immediately. I may ask you to return the documents at my expense. In general, please simply destroy the information at once. Any unauthorized use, distribution, or copying of this information is prohibited.